We love anything that’s for a good cause! 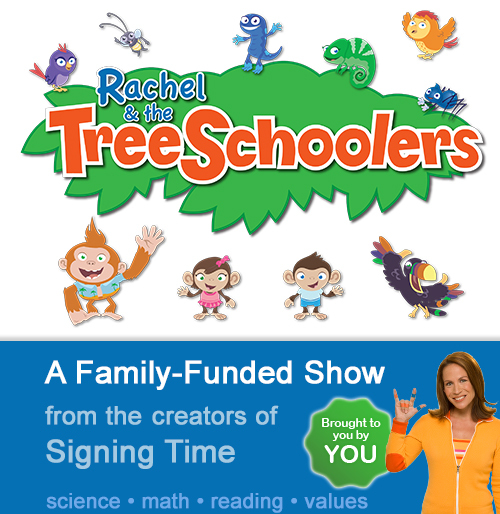 Rachel & the TreeSchoolders is an amazing educational programming for pre-school aged children. It’s a PhD backed children’s series that is delivered in 12 musical episodes. It’s brought to you by YOU! As of this moment, Rachel has raised over $150,000 of her $200,000 goal and she has 3 days to go (the kickstarter ends THIS Saturday, June 14 at 10:00 p.m. MST). We are thrilled to help support this amazing cause and we appreciate your involvement to help too! Rachel & the TreeSchoolers is based on a complete preschool curriculum – prepares kids for kindergarten. It actively engages children in learning (signs, games, songs and, dance) and uses layered learning: teaches interrelated concepts vs.isolated concepts. It teaches children HOW to learn with the CORI Method (wonder, ask, learn, share). We urge you to pledge to be a part of this amazing campaign on Kickstarter!